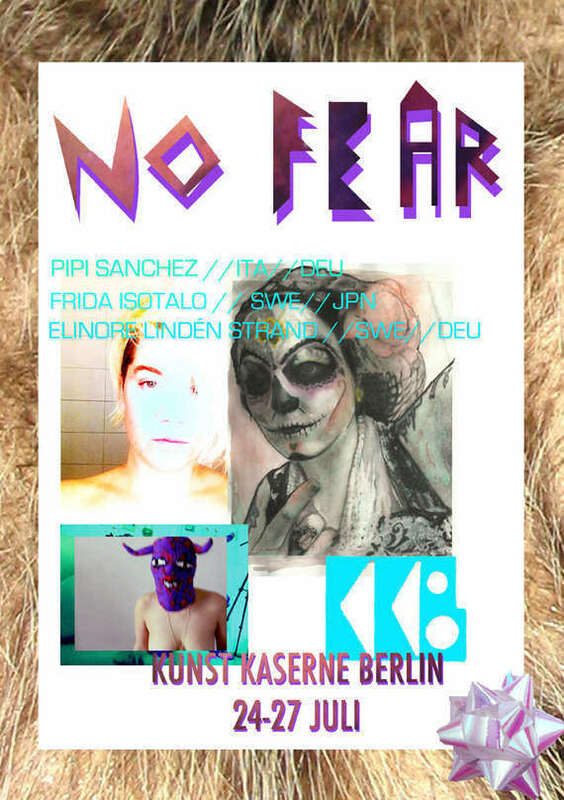 NO FEAR, a group exhibition by Pipi Sanchez, Frida Isotalo and Elinore Lindén Strand July 24 – 27, 2013 at KKB Gross-Berliner Damm 80, 12487 Berlin-Treptow, Germany. DAILY 5pm – 8pm. Saturday: FINNISAGE – 5pm and performance: FRIDA ISOTALO & STINA ANDERSSON – 6pm.